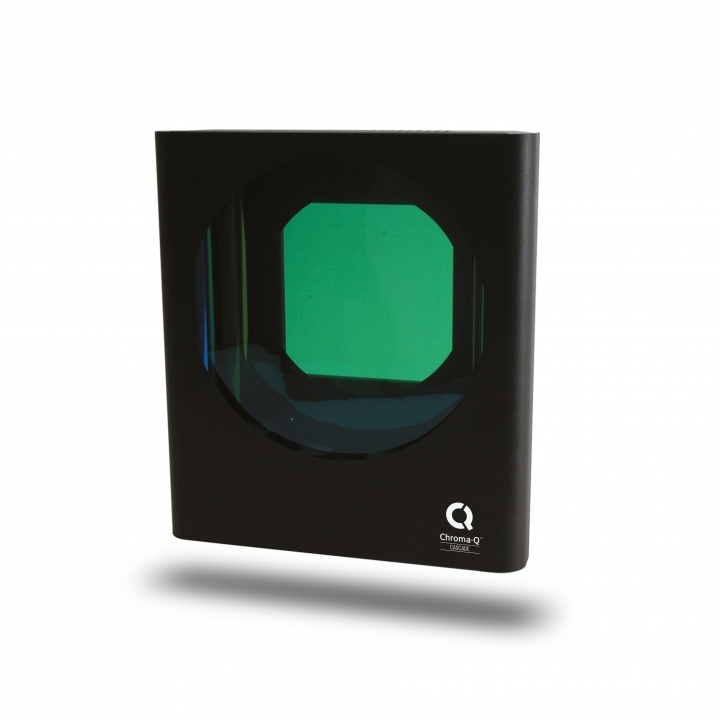 With a colour palette of over 300 colours and suitable for fixtures with up to 50 degree beam angles without light loss, the innovative Chroma-Q® Cascade™ colour changer offers exceptional flexibility. Supplied complete with special gel strings, two control modes are available to offer either 100 pre-defined "Library" colours or full CMY colour mixing "Creative" mode. The innovative universal mounting system is incorporated ensuring the compact and lightweight unit is easy to use. Aperture: 178mm x 241mm / 7" x 9.5"